If Peter were alive today, what message might he have for us? After working through 1st and 2nd Peter, this lesson reviews the major themes of the letters. The author of the lesson suggests they are; (1) the centrality of Jesus’ substitutionary sacrifice for our salvation, (2) godly conduct as the proper response to coming judgment, (3) the hope of Christ’s soon return, (4) God’s plan for order in society and the church, and (5) the role of Scripture in our lives. Christ’s Sacrifice: Why is the death of Jesus so important for the Christian? Is “substitution” the only metaphor for salvation in Peter’s epistles? Godly Conduct: What is the relationship between conduct/behavior and eternal life? Why does Peter spend so much time on Godly living and ethics if Salvation is by God’s gift and Christ’s substitution for me? In other words, why give the imperatives at all if salvation isn’t dependent on how I’ve lived? Hope of Christ’s Return: Many Christians have turned their attention from the second coming of Jesus to earthly matters of justice and care for humanity and the earth. Others have ignored these and simply preach the coming judgment. Should these two philosophies be combined, and if so, how might that happen? See Matthew 24 and 25 for ways to “be ready”. Order in Society and Church: Again, ethical injunctions govern this section. Does the non-Christian world have an expectation of how Christians should act? How does this coincide to Peter’s advice for Christian standards and behavior? Should such expectations exist? 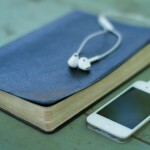 Role of Scripture: What happens to me spiritually if I neglect study of Scripture? 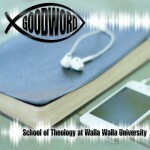 Are there ways of “studying” that can lead to loss of faith or conviction? What advice would Peter have for us regarding our approach to the Bible? How did he read it and what did it convict him of? It is my prayer with Peter that you continue growing in your knowledge of Jesu as your Lord and Savior, and that you experience Him more and more as the Day of the Lord draws nearer!